We get it...you're hungry, you want a nice, comfortable place to eat with good food and easy parking. Solution? 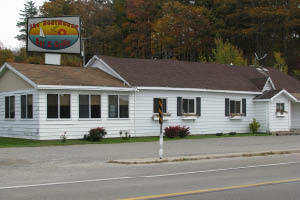 The Boathouse Bar & Grille, located just outside the Pentwater city limits. Lunch, dinner, or appetizers and drinks with friends...the Boathouse is a popular place to eat, and offers a beautiful view of Pentwater Lake. And for your boaters, you can pull right up to Boathouse and dock in front of the restaurant. What's more convenient than that? Begin your meal with some scrumptious starters. The Boathouse serves salsa & chips and mozzarella cheese sticks. But how about something different, like our chicken wings tossed in a choice of homemade sauces. One of our most popular ones are the Michigan Spicy Cherry wings. Or try some tasty Sweet Chile Shrimp...so good and different than anything you'll find in the area. Just thinking about it makes your mouth water. As the cooler weather ascends upon us, you'll want to stop in for a hearty cup or bowl of our renowned homemade soup of the day. Or try our award-winning chili, which tastes good any time of year. If a fresh salad is what you're craving, the Boathouse can serve you up their very own Sammy Salad, or choose a BLT or Greek Salad. They're great on their own...or pair your salad up with a Boathouse pizza. We'll prepare one to fit your appetite, from a six inch up to a 16 inch, with all your favorite toppings. Our specialty pizzas include The Works, Taco, BBQ Chicken and Greek. A sandwich or burger always tastes good, especially when fixed up fresh at the Boathouse. If you like corned beef, we have four different sandwich varieties for you to enjoy. You'll also find gyros, roast beef, turkey, chicken, and grilled ham and cheese. Complement your meal with your choice of French fries or coleslaw. The Boathouse can serve you up a tender 8 oz. Sirloin, Deep Fried Shrimp, Fresh Lake Perch, or BBQ Pork Lollipops. Feeling spicy? Try one of our Mexican Specialties, including Nachos, Wet Burritos, or Chimichangas. 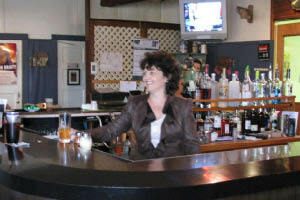 Stop into the Boathouse and enjoy a drink...we have a full bar with friendly bartenders that are ready to serve you. 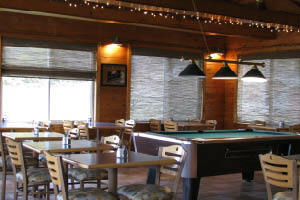 Watch the widescreen TV, play a game of pool, or just chat with your fellow patrons. 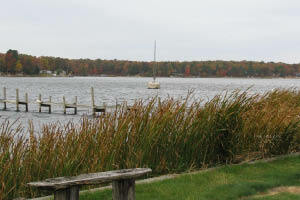 You'll feel comfortable any time of day, and gazing out on Pentwater Lake makes the experience that much better. It's homemade food that just tastes good. Plenty of parking makes it easy, so stop in today and give us a try...The Boathouse Bar & Grille in Pentwater. Visit us on Facebook.